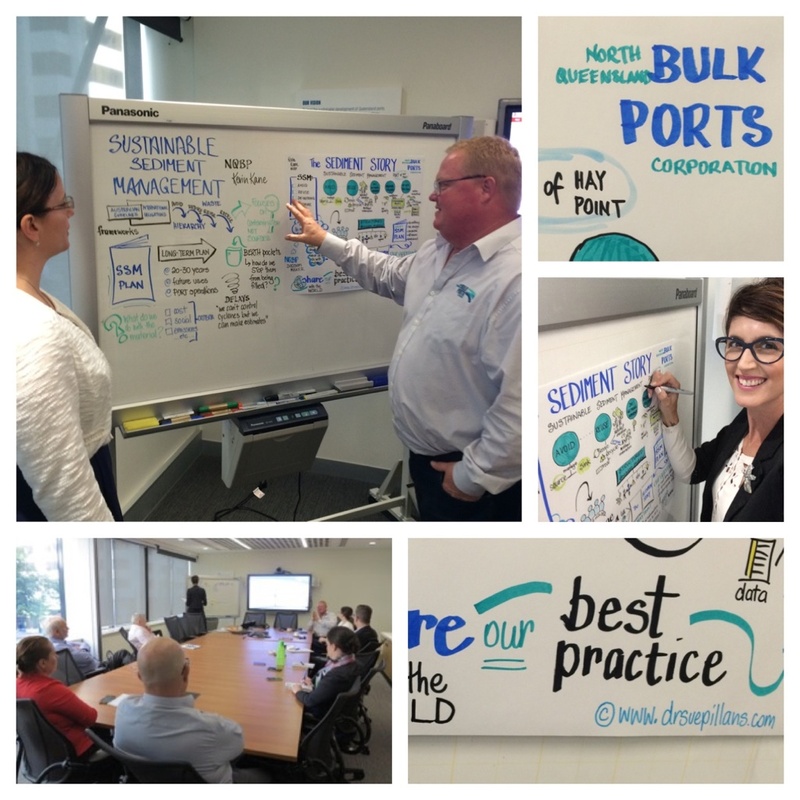 I’m so excited to be working with North Queensland Bulk Ports Corporation (NQBP) to help visually communicate their environmental and sustainability messages. I was recently invited to a NQBP meeting to graphically record live a presentation on their sustainable sediment management. Environmental management is a critical and complex issue, particularly when you are one of Australia’s largest port authorities by tonnage throughput! I drew out the processes and steps of their Sediment Story and I’m really looking forward to ‘picturing ideas’ with NQBP again soon! You can see more of my visual storytelling with NQBP via my website (https://drsuepillans.com/recording/business-industry/), as Dr Suzie Starfish on Facebook and @suepillans on Twitter and Instagram. ← Tag along with Turtles!